School librarians have much more on their plates than just managing books, often spending a great deal of time educating students and teachers, learning about and implementing new technology, and reading up on the latest new releases for young adults and children. It can be a lot to keep up with, but luckily other librarians are sharing their wisdom, experience, and expertise via the web. We’ve brought together 100 excellent blogs written by teachers, librarians, tech experts, and book lovers that can act as amazing resources for any school librarian. This is an update of our previous list, as technology has changed, new voices have emerged, and some previously great blogs have gone dormant, making it necessary to revise and re-curate our selections. Below are 100 blogs about schools, books, and libraries. If you add TeachThought to the list, that’s 101. Here you’ll find some amazing blogs written by librarians at all kinds of institutions. 1. Free Range Librarian: Librarian K.G. Schneider blogs about librarianship, writing, nonfiction, and a host of other topics here. 2. Walt at Random: Walt Crawford is semi-retired, but that hasn’t slowed his interest in libraries, leadership, and technology, all of which he blogs about on this site. 3. Cozy Up and Read: Head to youth service librarian Valerie’s blog to learn more about early childhood education, children’s lit, and working as a librarian. 4. Libraryman: With topics ranging from community to technology to censorship, any librarian is bound to find something of interest on librarian and PEZ enthusiast Michael’s blog. 5. Musings about Librarianship: This blog tracks interesting ideas for libraries and a wide range of other library centered topics, all written by senior librarian Aaron Tay. 6. GrahamLavender.com: Formerly the Inspired Library School Student, this blog changed its name due to the fact that its author is no longer a student. 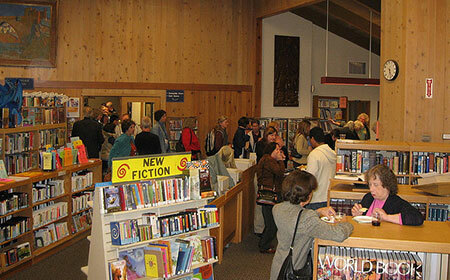 Now blogger Graham is a full-fledged librarian who shares his experiences here. 7. From the Library Director’s Desk: Julie Milavec is the library director for the Plainfield Library District. Her blog gives you some insights into the trials and tribulations that go along with the position, as well as some ideas that could help to improve any library. 8. Closed Stacks: A collaborative blog, this site draws on the experiences of different types of librarians from those working in the city to those in the ‘burbs to those specializing in medical texts, offering a unique look at all sides of being a librarian. 9. Librarian by Day: Librarian Bobbi Newman shares her passion for libraries and technology on this blog, speaking passionately about issues like the digital divide and transliteracy. 10. Abby the Librarian: Abby is a youth librarian in Southern Indiana, and on her site you’ll find great book recommendations as well as regular book challenges. 11. In the Library with the Lead Pipe: This multi-author blog is written by a team of librarians who touch on issues like education, administration, community members, and much more. 11. Hi Miss Julie! : Learn more about the work this Chicagoland children’s librarian does, with a special focus on getting the youngest kids, toddlers, and preschoolers loving books. These blogs are ideal reading for school librarians who want to connect with others in the profession. 12.School Library Journal Blogs: Head to this site to read a collection of blogs written by librarians, educators, and reading enthusiasts. 13. The True Adventures of a High School Librarian: This high school librarian shares her experiences with work, learning, and growing as a professional. 14. Wanderings: Former high school librarian Jacquie Henry talks about the future of libraries, learning, and reading on this blog. 15. Venn Librarian: Librarian Laura Pearle explores the intersection of schools, libraries, and technology here. 17. TLC = Tech + Library + Classroom: Head to this blog to hear from Tara, an ES librarian at the International School in Bangkok, as she discusses the ways new technologies can help teachers teach and students learn. 18. School Librarian in Action: School librarian Zarah shares her experiences teaching, working with students, and embracing new developments in technology here. 19. Mighty Little Librarian: On this blog, middle school librarian Tiffany Whitehead explores books, social media, technology, and more. 20. Lucacept: Get a look at the library science world from down under, as information services professional Jenny Luca talks about tech and education. 21. Library Advocate: Librarians Jackie and Tracy share the blogging duties here, sharing fun, often motivational content for school librarians. 22. K-M the Librarian: This school librarian shares insights into her work at a high school, with pictures, fun activities, and relentless optimism. 23. Archipelago: School librarians should head to this blog by Elisabeth Abarbanel, a librarian at a K-12 school in LA, as it’s full of ideas, resources, and book reviews that can be incredibly helpful. 24. Eliterate Librarian: Middle school librarian Tamara Cox showcases her work at school as well as her passion for edtech on this blog. 25. Heart of the School: Need a little inspiration? This site was created to showcase and celebrate the work of school librarians in the U.K. These bloggers are both teachers and librarians at their schools. 26. Booked Inn: Teacher-librarian Ian McClean shares his heroic adventures as an Australian elementary school teacher-librarian on this blog. 27. The Busy Librarian: Here you can learn more about Matthew Winner, an elementary teacher-librarian. The blog features book recommendations, professional commentary, and great ideas. 28. Chad Lehman: Chad Lehman has spent a good deal of time working both as a teacher and a librarian. On his blog, you’ll get a chance to see a bit of both, with a heavy dose of tech-talk as well. 29. Wendy on the Web: Wendy Stephens is a librarian and instructor for a high school in Alabama. Through her blog, you can read about her day-to-day life, books she loves, and more. 30. The Unquiet Librarian: The Unquiet Librarian is Buffy Hamilton, a high school librarian and teacher in Canton, Ga. Visit her blog to read about a variety of professional issues in the library and education fields. Keep up with the latest news, views, and more in the work of library science with the help of these blogs. 31. AASL Blog: The American Association of School Libraries shares news and information pertinent to those in the profession through their regularly updated blog. 32. LOC Blog: Learn more about what’s going on at the Library of Congress by following their blog, full of updates about their collections, great authors, books, and much more. 33. 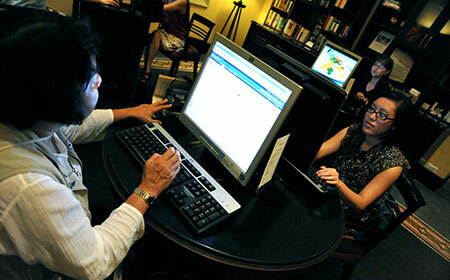 LISNews: Here you’ll find an excellent roundup of news on library and information science. 34. ACRLog: The Association of College & Research Libraries maintains this blog, a great place to find updates about library practices, academia, and more. 35. Pegasus Librarian: Check out this blog for some excellent commentary on current issues in librarianship, including takes on court cases, IT integration, and academic research on the topic. 36. Peter Scott’s Library Blog: Peter Scott shares excellent articles about the latest news in LIS through his blog. Librarians today have to master a whole host of technologies to keep their institutions running smoothly and at the cutting edge. 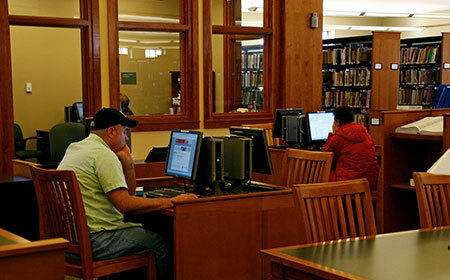 These blogs offer insights into that techie side of library science. 37. ALA Tech Source Blog: The ALA offers up a heaping serving of all things librarian tech on this blog, helping you make smart, informed decisions about the tools and gadgets you choose to use. 38. Librarian.net: Jessamyn West writes one of the most popular library tech blogs on the web. It’s a must read for any librarian hoping to become more tech-savvy or just keep up with the latest trends. 39. The Daring Librarian: This award-winning blog is penned by a middle school teacher-librarian, who also just happens to be pretty obsessed (and knowledgeable) about tech. 40. The Shifted Librarian: The Shifted Librarian is another must-read site on ed-tech in libraries, with loads of great ideas on how libraries can use new technologies. 41. Tech Tips & Timely Tidbits: This blog shares lots of tips for tech, information, books, education, and other issues from librarian Heather Loy. 42. Not So Distant Future: Explore the future of libraries (and in many cases the present) with high school librarian Carolyn Foote. 43. Information Literacy meets Library 2.0: Keep up with all the latest tech tools you can use for learning by following this helpful blog. 44. Informania: Media specialist Fan Bullington shares her thoughts on libraries and digital technology here. 45. 21st Century Collaborative: Head to this blog to read more about how educators can get and stay connected. 46. Always Learning: Get an international perspective on teaching and tech from Kim Cofino on this site. 47. Bib 2.0: Learn more about the role technology will play in the library of tomorrow and the way it’s already changing things today on this blog, with some additional commentary about the profession to boot. 48. The Blue Skunk Blog: Doug Johnson, the Director of Media and Technology for the Mankato Public Schools, shares his expertise on librarianship, tech, and a wide range of other topics on this blog. 49. Hey Jude: Librarian Judy O’Connell blogs about the leading edge of technology and Web 2.0 in library science. 50. info-festishist: Visit this blog to read the thoughts of Anne-Marie Deitering, a professor working on undergraduate learning initiative at OSU libraries. She shares insights into the educational potential of the emerging web and much more. 51. 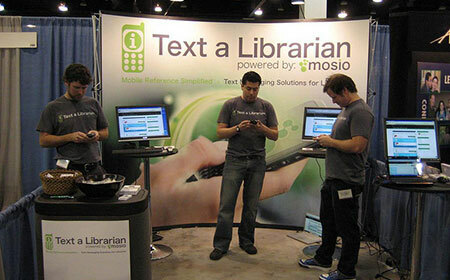 The Handheld Librarian: Use this blog to keep up with handheld computer news and to read ideas and opinion pieces geared toward librarians and educators. 52. David Lee King: Keep yourself in the loop about the social web, emerging trends, and all things library-related by reading this blog. 53. 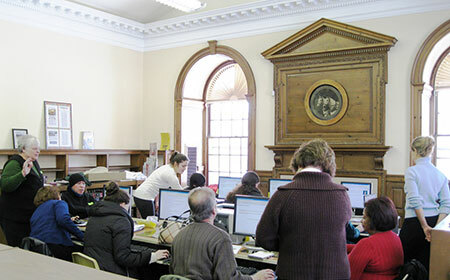 Tame the Web: Michael Stephens’ blog touches on topics related to libraries and librarians, technology, and education. 54. What I Learned Today: This library technology enthusiasts shares tips and tools to help you become a programming and Web 2.0 whiz. 55. No Shelf Required: Curious about the future of books? Head to this blog to read about e-books, audio books, and other digital content found in libraries. Looking for some great reads for the students at your school? These blogs have tons of great suggestions. 56. Welcome to My Tweendom: Looking for some great reads for tweens and teens? School librarian Stacy Dillon shares loads of the best children’s and YA fiction here. 57. ALSC Blog: The Association for Library Service to Children maintains this blog (as well as a great podcast), which is full of ideas on how to improve your library, book recommendations, and much more. 58. YA Books and More: This blog, from librarian Naomi Bates, focuses on reviewing young adult books. 59. The YA YA YAs: Librarians Trisha, Gayle, and Jolene share their love of YA lit here, sharing loads of great reviews and recommendations. 60. YALSA Blog: The official blog of the Young Adult Library Services Association is a great place to learn about techniques, books, and activities that will appeal to young readers. 61. Watch. Connect. Read: K-12 teacher librarian Mr. Schu shares some of the best children’s lit through fun book trailers. 62. Waking Brain Cells: Tasha Saeker, the assistant director of the Appleton Public Library, shares loads of insights into getting kids to read as well as providing a few great recommendations. 63. Reading Rants! : If you’re looking for teen reads that are out of the ordinary, make sure to check out this blog for ideas. 64. readergirlz: Created to spur on teen literacy, this blog focuses on recommending new YA books that are overlooked, appeal to a wide audience, and will get teens excited about reading. 65. proseandkahn: You’ll find a great assortment of reviews of children’s and YA lit on this helpful blog. 66. Oops.. Wrong Cookie: A number of Texas librarians (and their friends around the country) maintain this blog dedicated to reviewing young adult literature. 67. Ms. Yingling Reads: Check out this blog to get some ideas on middle school-level reads, especially those that would appeal to young male readers. 68. Literacy Launchpad: Emergent literacy teacher Amy shares some excellent recommendations for children’s titles that can help librarians find, acquire, and recommend some great new books. 69. Kid Tested, Librarian Approved: Get some solid recommendations and reviews of picture books from a children’s librarian when you visit this blog. 70. 100 Scope Notes: Keep up with children’s lit news and find some helpful reviews of new and popular titles here. 71. A Book Dork: Head to A Book Dork to get teen book reviews from YA librarian Aimee. Check out these blogs for ideas on how to build your career as a librarian and embrace lifelong learning. 72. Lifelong Learning for School Librarians: Need some motivation to get you learning? This blog is full of ideas that will help you find new resources to keep you learning for life. 73. School Library Learning: This blog can help you build your tech skills, even featuring a week-by-week program to get you on the web, blogging, and creating wikis. 74. Library Grits: Lifelong learner and librarian Dianne McKenzie shares some of the ways she’s changing, evolving, and staying determined to be at the top of her profession. 75. Cathy Nelson’s Professional Thoughts: Each Tuesday Cathy Nelson posts to this blog, sharing ideas on how librarians and teachers can integrate technology into their learning, something just about anyone can stand to learn more about. 76. Information Wants to Be Free: Meredith Farkas offers her take on how libraries can embrace the wealth of 21st century technologies out there, as well as reflecting on the profession itself. You can never know too much about educational technologies, and these blogs will help to keep you in the loop. 77. Geek Dad: This Wired blog is written by a geeky dad who is always looking for ways to connect education to fun, tech-focused projects. 78. Cool Cat Teacher Blog: Teacher Vicki Davis shares resources and inspiration for teachers looking for new ways to embrace educational technology, but boasts a lot of content that can work well in a library setting, too. 79. Kathy Schrock’s Kaffeeklatsch: Get a great look as some of the latest edtech products and ideas on how to use them from instructional technology specialist Kathy Schrock. 80. 2 Cents Worth: Here you can learn how to adapt old methods of teaching and learning to the new information landscape that dominates 21st-century life. 81. Free Technology for Teachers: Even if you’re not a teacher, there’s still plenty of great free tech content to choose from on this site that’s ideal for helping kids learn and do research. 82. The Innovative Educator: Lisa Nielsen writes about cutting-edge innovations in education on this blog. 83. Moving at the Speed of Creativity: Digital learning consultant Wesley Fryer documents on this blog his own journey of learning, experimenting, and working with other educators using the latest technologists. 84. 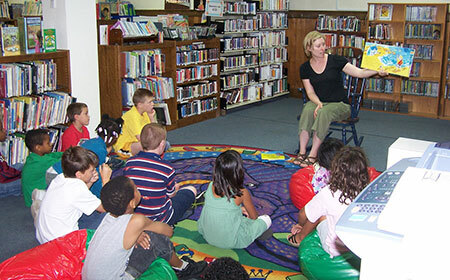 Successful Teaching: Part of being a librarian is helping to educate your students, so get some ideas on how to best do that from teacher Pat Hensely, here. 85. Will Richardson: Visit this site to learn a bit more about the web and its applications in the classroom from Will Richardson. 86. teach42: Blogger Steve Dembo explores the intersection of education and technology on this blog. Whether you’re looking for a great read for yourself or new titles to add to your library collection, these blogs host some great recommendations. 87. Bookslut: Head to this blog to read book reviews, feature columns, and learn about the latest and greatest literature that’s coming to a bookstore near you. 88. Ready Steady Book: If you prefer to limit your book reviews to those that are highly academic, learned and perhaps not for the wider audience, then this is the place for you. 89. So Many Books: Explore the agony and the ecstasy that is loving books in this excellent book review blog. 90. 3000 Books: Blogger Estelle tries to read 50 books a year and documents her progress, as well as some useful reviews, on this blog. 91. Biblibio: You’ll find book reviews aplenty on this blogger’s site, many of which may just help you select your own next read. 92. Red Room Library: Find selections that represent some of the best of contemporary literature on this review-focused site. 93. Paper Cuts: Use this New York Times blog to keep up with the latest releases. 94. Booklist Online Blog: ALA experts share their reviews of thousands of books on this must-read blog (and accordant website) designed with librarians in mind. 95. The Book Smugglers: Find reviews of young adult and science fiction on this regularly updated site. 96. London Review of Books: Here you’ll find reviews of some of the best fiction and nonfiction to hit the market, including those from some pretty big names in literature, philosophy, and social science. From librarian humor to the Dewey Decimal System, these blogs cover a range of library issues. 97. Designing Better Libraries: Learn more about how design, innovation, and new media can work to create a better user experience in libraries. 98. Unshelved: Get access to regular library-themed comic strips on this illustrated blog. 99. The Dewey Blog: Visit this blog to learn everything you ever wanted to know about the Dewey Decimal system (and more). 100. A Librarian’s Guide to Etiquette: If you’re looking for a laugh, head to this blog, with snarky takes on good librarian etiquette. Nice list of blogs. Thanks for sharing.